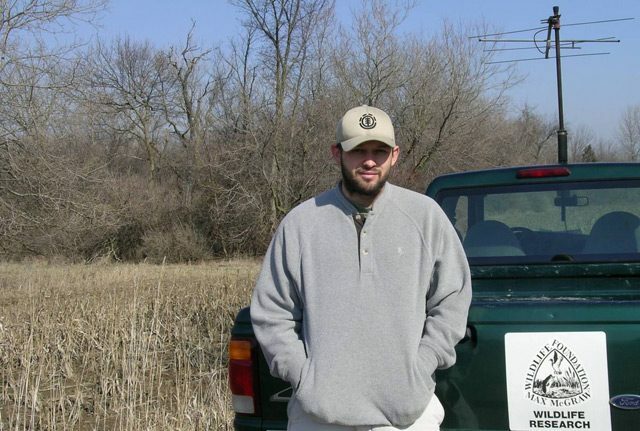 Justin Brown is one of the researchers tracking coyotes in the suburbs. 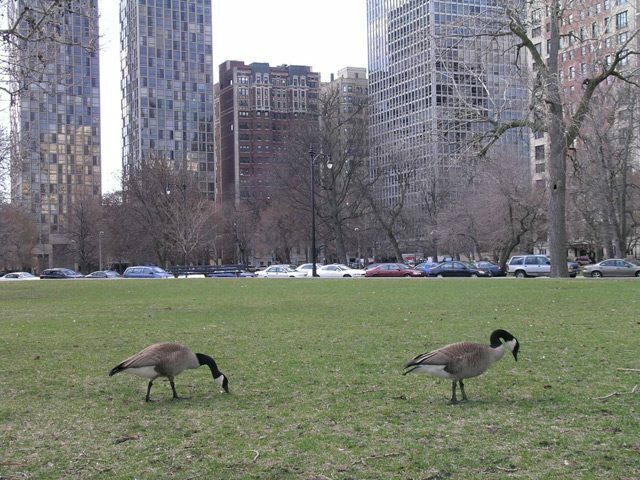 His research is exploring the predator's impact on Canada geese. Coyotes have even found their way into downtowns of major cities. A coyote was recently found in New York City's Central Park. 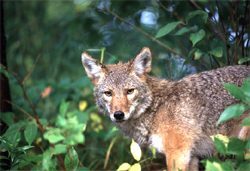 Coyotes frequent Chicago's downtown Lincoln Park, in search of food such as young geese and other waterfowl. Wile E. Coyote hasn’t always had the greatest life out in the wild. smorgasbord for coyotes in the city. with a coyote here in Lincoln Park. Arlington Heights, coyotes have been a problem. Police Sergeant Nick Pecora says sometimes coyotes are pretty brazen. what some see as an intruding predator. attacking a human… some worry that they might. where they’re going and what they’re doing. Justin Brown is with a research project out of Ohio State University. but we know he’s there because of the signal his collar is emitting. “Food ranges from deer to geese to even just dog food people leave out. For the GLRC, I’m Lester Graham. 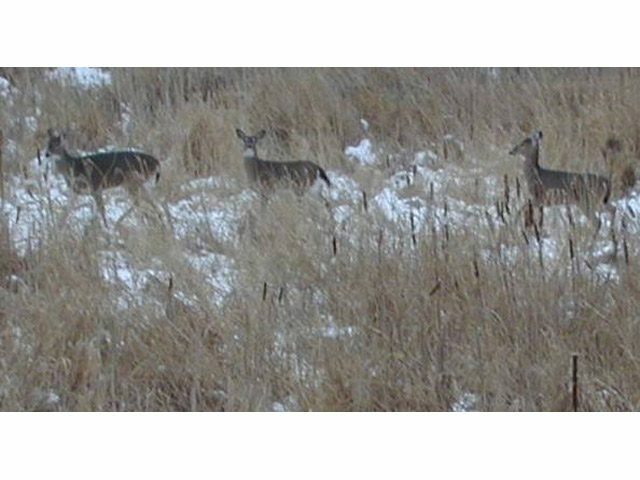 Wildlife officials are working to stop the spread of Chronic Wasting disease. Illinois, and New York. Thomas Courchaine hopes to keep it that way. not yet been found to be contagious to humans, but officials warn against eating infected meat. For the GLRC, I’m Brian Bull. overpopulation also means more deer meat is made available to low-income people. deer meat to food pantries in two counties. are run by private organizations. says it’s a pretty simple process. “Once the hunters show up to the building, we’ll have them come into our skinning room. Butchers section the deer into shoulder, torso and hindquarters. Then Tanguey sets up the grinder and grabs the meat from the cooler. with his name and the hunter’s license number on it. Tanguey says this is his way of giving back to his community. 200 of the 600 agencies he works with ask for venison. challenge is keeping up with the demand for deer meat. A lot of people want it. bank. The church’s food pantry feeds about 150 people every week. church’s limited budget and an increase in the number of poor people asking for food. pay the handling costs – the coalition covers processing. For the Great Lakes Radio Consortium, this is Skye Rohde.